The administrator of a company that collapsed having lost millions of pounds of investors’ cash has called on four people to repay money. 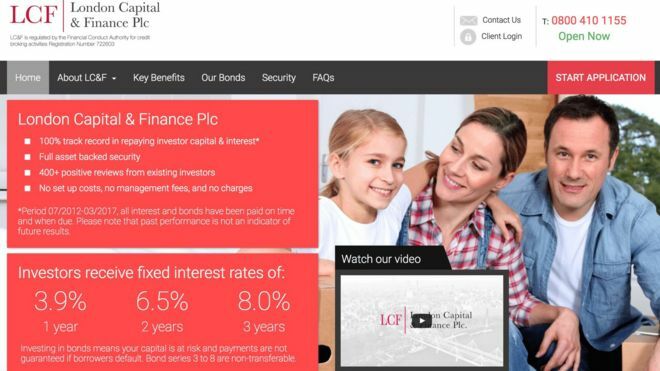 Thousands of first-time investors put their pensions and savings into London Capital & Finance (LCF), which collapsed in January owing £236m. Administrators have asked Andy Thomson, Simon Hume-Kendall, Elten Barker and Spencer Golding to return funds. The four have not responded to BBC requests for comment. 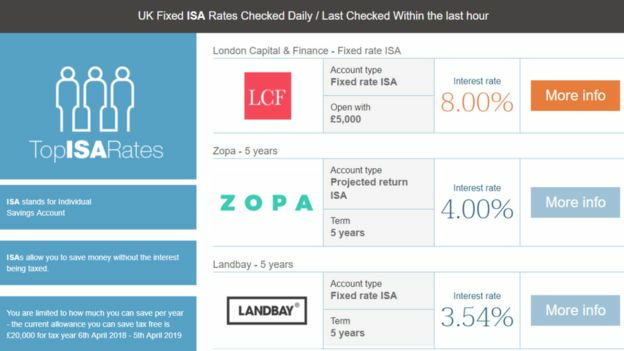 In reality, the fund did not qualify as an ISA, and the money was only invested in 12 companies, 10 of which were described as “not independent” from LCF. The report states that Mr Thomson and Mr Hume-Kendall have agreed to work with Smith & Williamson. 1 Where did the money end up? 2 Who are the four men? Where did the money end up? Some of the stranger transactions – described as “highly suspicious” – include loans to companies intent on developing land in Cape Verde, the Dominican Republic, and Cornwall. The administrator said despite being loaned £27m two years ago, the two companies in Cape Verde did not have legal rights to any land, while four companies in the Dominican Republic only owned undeveloped land and owed nearly £50m. The administrator said there was “no evidence” they would be able to repay the debt. More than £20m was loaned to a company called Waterside, which said it received the money “in good faith” for the refurbishment of its hotel near Bodmin, Cornwall. The administrator is “very concerned” that management have made “no real efforts” to prove the value of the company, or their ability to repay the loan. In one deal, LCF loaned £840,000 to its parent company, London Financial Group, to buy a helicopter and sell it on to an American company for a “quick profit”. Once the helicopter had been bought it “became clear” the US entity had only ever wanted to charter the aircraft, not buy it. LCF also made a £20m investment in a company that, in July 2018, owned £15.1m worth of horses. FS Equestrian Services – of which Spencer Golding is the “company patron”- owes £12.2m, but apparently has no bank account and changed ownership in January for free. One of the most complex financial structures comes from an entity called London Oil & Gas (LOG), which is now in administration but owes LCF £124m. Almost all the money that was loaned to LOG by LCF has been loaned out to other companies, some of which are unlikely to be able to pay it back. One transaction where a company was loaned £25m is under “urgent investigation” by the administrator. Another company owes £23.2m, nearly £12m of which is “unaccounted for”, and also under investigation. Who are the four men? As well as being the ultimate owner of LCF, Andy Thomson was also the managing director and owned the immediate parent company, London Financial Group Limited, which purchased the helicopter. Mr Thomson was also a director of the two companies in Cape Verde, and owned three holding companies which were investing in real estate in Cornwall and the Dominican Republic. Simon Hume-Kendall is a former director of LCF, a director of London Power and Technology – which still owes £16.6m – and is a director of London Oil and Gas (LOG), which owes £124m to LCF. He and Elten Barker – also a director of LOG – are the ultimate owners of three technology firms which were loaned millions of pounds through LOG. The two men were also directors of the Cape Verde development companies, as well as the entities which invested in Cornwall and the Dominican Republic. Spencer Golding is the “company patron” of FE Equestrian Services, which still owes £12.2m, and also introduced LCF to the online marketing company Surge, which produced all the marketing materials and took 25% of all investors’ money as a commission. Christine Anderson – who runs a surf school in Devon – put thousands of pounds into LCF, and now faces the prospect of losing it all. She said it was a “horrific shock” to find out the investment she had made did not even qualify as an ISA. Administrator Finbarr O’Connell said of the 12 investments: “Only two of those were independent entities – all the rest of them are linked to this core group of people. Only 20% of the money is expected to be returned to investors.